Professional bodybuilders and their trainers tell us that our diet and nutrition provides 80% of our muscle gain results with our workouts being responsible for the remaining 20%. But is this really true? After all, mainstream media is more than happy to provide us a quick-fix pill that can let us gain muscle without any additional effort. Well, I have written this article to answer such questions about the importance of diet and nutrition for muscle building. This article is for men and women who are just starting their muscle gain journey. It’s also useful for those of you who are struggling with gaining muscle, even after following a fitness workout regime. 1 How Important Is Eating A Healthy Diet For Muscle Growth? 2 How Important Is Protein For Muscle Growth? 3 Why Are Calories Important For Muscle Building? 7.1 You can also choose to take a protein shake (like Blackwolf Workout) or a bodybuilding supplement (like D-Bal and TestoGen) to aid your muscle growth. How Important Is Eating A Healthy Diet For Muscle Growth? Experts say that ‘You can’t out-train a lousy diet’ and this is 100% true. After all, the food you eat as part of your diet is what is used to make the muscles you so dearly want. So, if you eat crap like junk food, you aren’t going to end up with a physique like Dwayne ‘The Rock’ Johnson, that’s for sure. There’s a reason there’s a special diet plan for when you want to bulk up or slim down. Different foods contain different sets of macronutrients which provide your body with the fuel that’s needed to produce energy, burn fat, and build muscle. In short, eating the right foods is more important than performing the right exercises, especially for beginners. How Important Is Protein For Muscle Growth? The first thing practically everyone tells anyone interested in muscle gain is to load up on proteins. 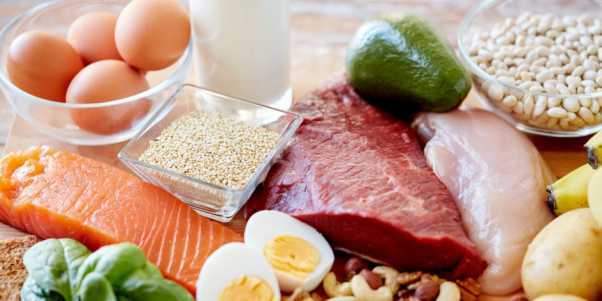 However, most people have no idea why proteins are important for muscle growth, as well as how much protein is needed. If you want to build muscle, experts have found that you’ll need a protein intake of 1.2-1.7 grams/kg of body mass. This is something most of us achieve already. But you can increase your protein intake by eating more protein-rich foods throughout the day. To make muscle, your body breaks down the food into amino acids. The essential and non-essential amino acids are bound together to produce actin and myosin proteins. And finally, these proteins are used to build muscle fiber. You should also spread your protein intake throughout the day (5-6 meals) so that your body can efficiently build new muscle. Do be careful of protein overload which is a situation where your protein intake exceeds your body’s ability to create muscle mass. Protein overload is not beneficial because the excess protein is automatically converted and stored as fat. In short, dietary protein is an integral part of muscle gain, but this shouldn’t be overdone as this can end up causing you to gain fat instead. Why Are Calories Important For Muscle Building? Calories you gain from eating food are the fuel your body burns to perform daily activates (or work out). 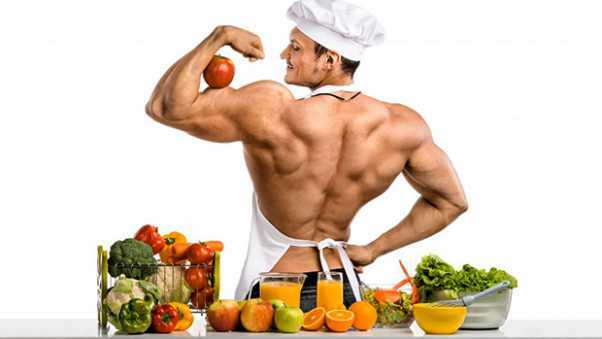 Bodybuilders or anyone looking to gain muscle gets advised to ensure they are energy-surplus of about 500 calories. This means that you are gaining more energy (calories) than you are burning. However, it’s important to eat the right type of calories at the right times for this to be beneficial. Your body burns calories when you work out. It also uses energy to convert the proteins you’ve eaten earlier to muscle mass. And if your body doesn’t have enough calories for this job, you aren’t going to gain muscle mass. In short, eating more (healthy) calories and being in energy-surplus is beneficial for your muscle building process. Greek yogurt: Contains whey and casein proteins, making it an effective post-workout snack. Salmon: Contains omega-3 fatty acids that are proven to boost muscle gain and physical performance. Beans (kidney, pinto, or black): Contains fiber, B vitamins, minerals, and plant-based protein for better health. Milk: Contains fast and slow digesting proteins as well as carbs and fats that improve muscle gain. Eggs: Contains loads of high-quality proteins and nutrients like leucine amino acids that boost muscle gain. Almonds or peanuts: Contains phosphorus that improves energy production from carbs and fats. Lean beef: Contains high-quality proteins like Creatine which is known to improve lean muscle gain. Brown rice or quinoa: Contains healthy carbs that can fuel your workouts when taken well before your workouts. Soybeans: Contains healthy fats, vitamins, minerals, and protein to improve overall health. Chicken breast: Contains loads of proteins that improve muscle gain and promote athletic performance. Processed cheese: Contains fewer nutrients and protein than unprocessed cheese. Pre-made smoothies: Contain a ton of sugar and unhealthy calories. Sausages: Contain saturated fats, sodium, and calories. Soda: Contains excess amounts of caffeine and sugar. Doughnuts: Contain no healthy ingredient that promotes muscle gain. Ice cream: Contains a lot of sugar and saturated fat with little protein. Potato chips/crisps: Contain high levels of salt and fat. Some breakfast cereals: Contain deceptively more sugar than you suspect. Alcohol: Contains sugar and can slow down muscle recovery. There are hundreds of diet plans online that claim to be the best muscle mass gain diet plan. However, which one of these popular diets should you go for if you want to get ripped like Jason Statham? Well, if you are serious about wanting the best muscle gain results, talk to a professional. A good nutritionist can create a custom diet plan that is tailored to your situation. This will allow you to avoid foods you don’t like and eat foods you do while still gaining muscle. You may be skinny, chubby, lean, or somewhere in between. Your body type will affect your nutrition requirements and exercise intensity. If you’re already lean, it should be easier for you to gain muscle as compared to someone who is skinny. If you’re skinny, look for a diet plan that focuses on ensuring you are calorie-surplus. Athletic men and women should focus on improving muscle flexibility as muscle gain is easier for them. The soft gainers should focus on controlling their diet and nutrition with low carbs and fats being the key. Proteins are essential at building muscles. Complex carbohydrates are necessary because they provide your body with the energy required to build muscle. Healthy fats are needed for some bodily functions like testosterone production that are required for muscle growth. Every proven muscle gain diet has a few things in common. They all emphasize the importance of drinking water and keeping your fluid levels up. Diet plans also focus on multiple meals over the day, including pre/post workout meals. They also advise you to take muscle building supplements like TestoGen as these can speed up muscle growth. In short, picking the right diet plan for your muscle gain can be the difference between success and failure. So, pick carefully. It’s clear that if you want to gain muscle mass, you are going to have to follow the right diet plan. You are also going to have to eat the right foods with plenty of proteins while avoiding some of the tasty (but unhealthy) foods. But if you manage to get your diet and nutrition sorted, you shouldn’t have any trouble gaining muscle mass. You can also choose to take a protein shake (like Blackwolf Workout) or a bodybuilding supplement (like D-Bal and TestoGen) to aid your muscle growth.